Jason Phillips, commonly known by his stage name of Jadakiss, is a famous American rap artist. To the public, Jadakiss is perhaps best known as a member of a hip hop group from New York called “The Lox”. The band that features Jadakiss, Sheek Louch and Styles P was formed in 1994, and was originally signed to a record label owned by Sean Combs “Bad Boy Records”. Formerly known as “The Bomb Squad”, at the beginning of their career the group performed mainly at local events and shows, and worked on releasing demo tapes. They were first featured on the song by “Main Source” called “Set It Off”, which helped them gain more local recognition. Around the same time “The Bomb Squad” changed their name to “The Lox” and soon after that gained mainstream success. In 1997, the group received a lot of public exposure largely due to an appearance on Sean Comb’ track “It’s All About the Benjamins”, as well as a tribute song to a recently deceased rapper The Notorious B.I.G. “The Lox” then released their commercially successful debut album entitled “Money, Power & Respect” in 1998, which peaked at #3 on the Billboard 200 chart and produced two singles. Soon after that, “The Lox” left “Bad Boy Records” and joined “Ruff Ryders Entertainment” instead, with which they released two more albums. A famous rap artist and a member of “The Lox”, how rich is Jadakiss? According to sources, Jadakiss’ net worth is estimated to be $6 million. Jadakiss accumulated the majority of his net worth due to his successful rapping career. Jadakiss was born in 1975, in Yonkers, New York. Jadakiss started out his career as a freestyle rapper and at the early stages of it had a chance to take part in a rapping competition known as “Jack the Rapper Competition”, where his rapping abilities were noticed by the public. He then went on to rap with “The Lox”, yet he was also able to launch a successful solo career. In 2001, Jadakiss came out with his debut album entitled “Kiss tha Game Goodbye”. The album, which featured such artists as DMX, Snoop Dogg, Swizz Beatz, and Eve, proved to be a major commercial success, as it sold more than 204 000 copies during its first week and that same year was given a Gold certification by the RIAA. 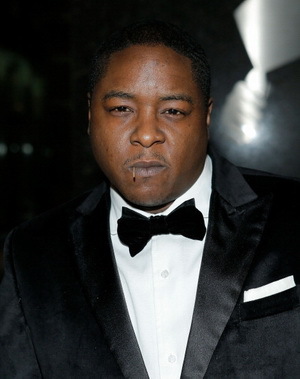 After the success of his debut solo work, Jadakiss released “Kiss of Death”, his second studio album, which was even more successful than his previous one. With 246 000 record sales during its debut week, “Kiss of Death” topped the Billboard charts and was soon certified Platinum. Up to date, Jadakiss has released three solo albums, the most recent being “Top 5, Dead or Alive”, which features The Lox, Young Jeezy, Chris Brown, Lil Wayne and Rick Ross among many others. A successful rap artist, Jadakiss did not manage to avoid legal issues and controversies, as he was arrested several times for drug-possession, as well as gun-possession charges, and at one point was Notorious BIG for his feud with 50 Cent and Bill O’Reilly.